Today the rain derailed our park plans and instead sent us all to the market. On the way Stella and I were discussing how the day before she had dropped her raisins in the car. Then, she interrupted and said, “Mommy, it’s SULTANAS. I’m so disappointed in you, mommy, it’s sultanas, not raisins. 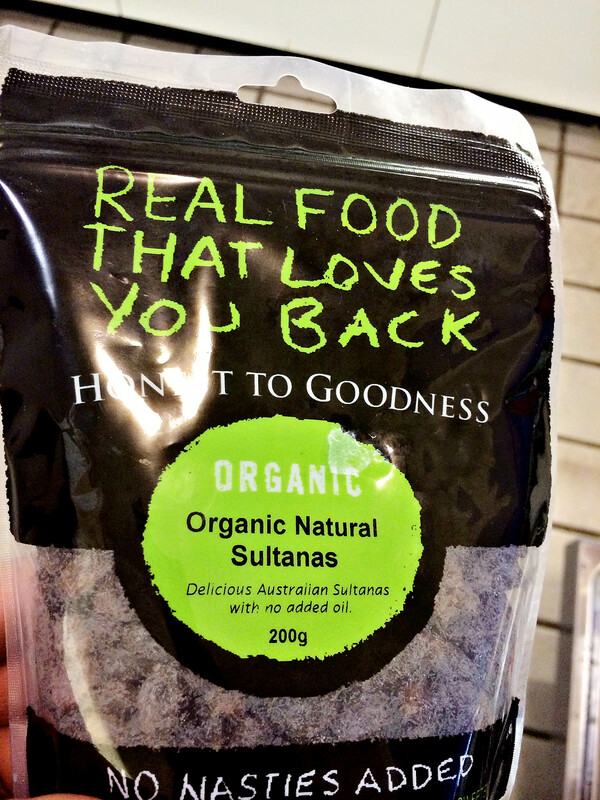 SULTANAS. That’s so cheeky, mom. Stop calling them raisins.” What?! Sadly, she corrects me all the time. The kid is full-on into Aussie-speak. I say stroller, she says PRAM. I say rain boots, she says GUMMIES. I say diaper, she says NAPPY. I say breakfast, she says BREKKIE. I say pacifier, she says DUMMY. I say buh-NAH-nuhs, she says buh-NON-nuhs. She’s also fully embraced saying, “no worries.” No worries, mom, I’ve got it! In other Stella news, we are seeing a very special doctor to help with some of her food issues. That, if you don’t know, is a very, very, VERY long story. The doctor is super-crunchy, as Phill says (with one eyebrow up) and I love her. Her name is Dr. Kate Swincer and she’s a chiropractor, but like a super duper chiropractor. Take a look at her practice areas here. After our first meeting, I feel really good about her and her ability to help Stella. She, after all the conventional and unconventional doctors we have seen, might finally have the answers we’ve been looking for. Also happening in the Simpson household, Phill is now the 3rd one to be taken down by the nasty gastro bug. He’s nowhere near has bad as I was, though, thank goodness. He has seemingly bounced back after 24 hours. Declan, the only one of us to avoid the nastiness (yay breastfeeding! ), has been busy being a maniac with the walker. And cruising along anything he can get his hands on. He’s also doing a ton of free-standing… working hard on that balance! 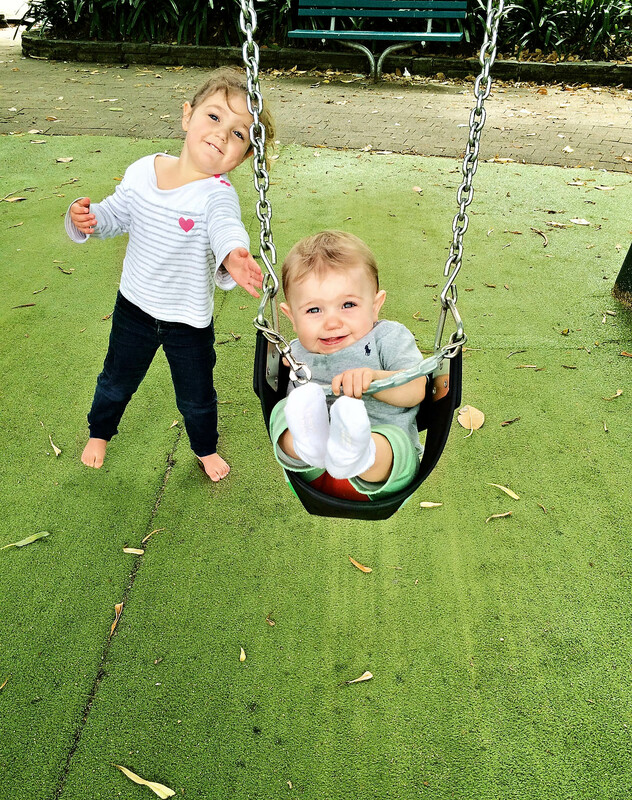 Lastly, he might be terrified of being in the swing when Stella is in charge of the pushing. He never cries so we aren’t sure if that’s a look of terror or of delight disguised as terror? Who knows!